"More Americans expected to self-medicate than for any other debate in history", wrote columnist and comedian Andy Borowitz in yesterday's New Yorker. 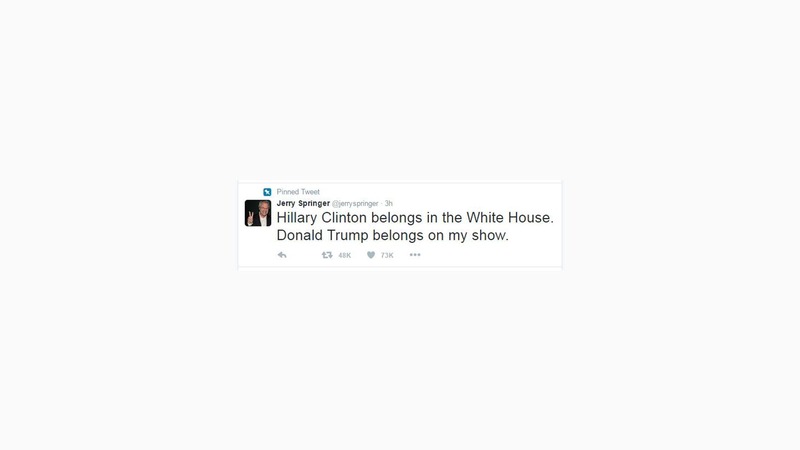 His quip came referred to the first of three American presidential debates between Secretary of State Hillary Clinton and TV personality and businessman Donald J. Trump. 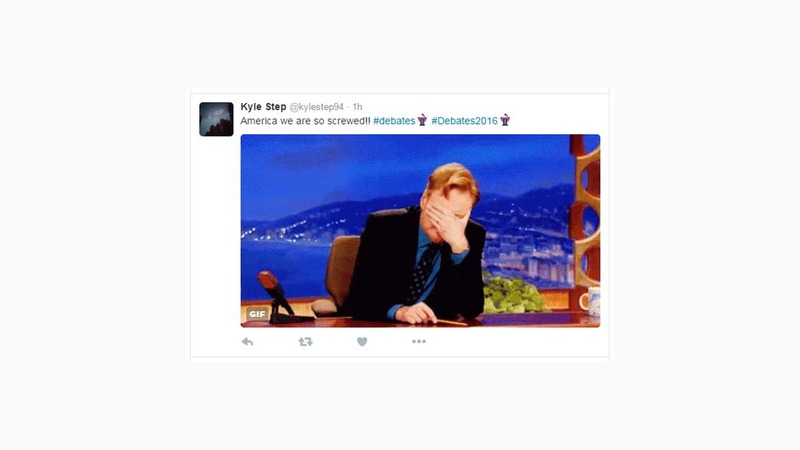 That debate, which pundits predicted to be raucous, was nearly overstaged by a sideshow of also-live tweets. 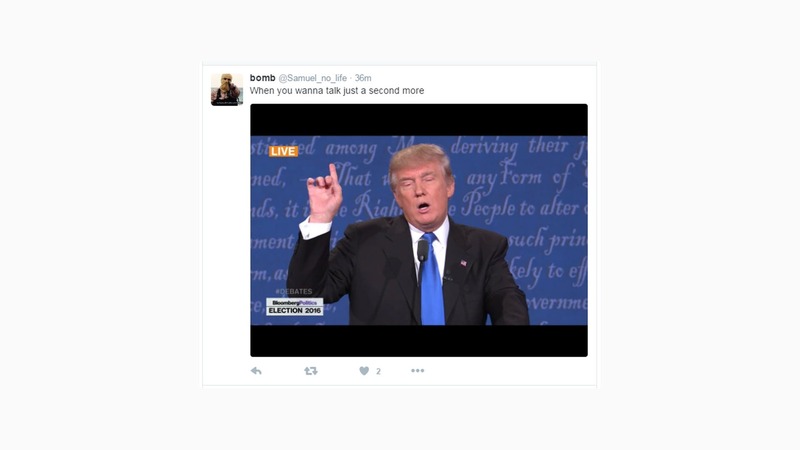 Viewers in the Middle East could livestream the debate on Twitter. Held at 9 PM EST - that's 3 to 5 AM across the Middle East! - early morning bleariness wasn't the only distraction for MENA viewers: there was also a constant stream of uncensored Twitter comments flowing alongside the live debate. In our region where a snarky post (or cartoon) can get you jailed or murdered, what's your take on this free-for-all of American Free Speech? The night began gently, with viewers taking slight jabs along partisan lines. 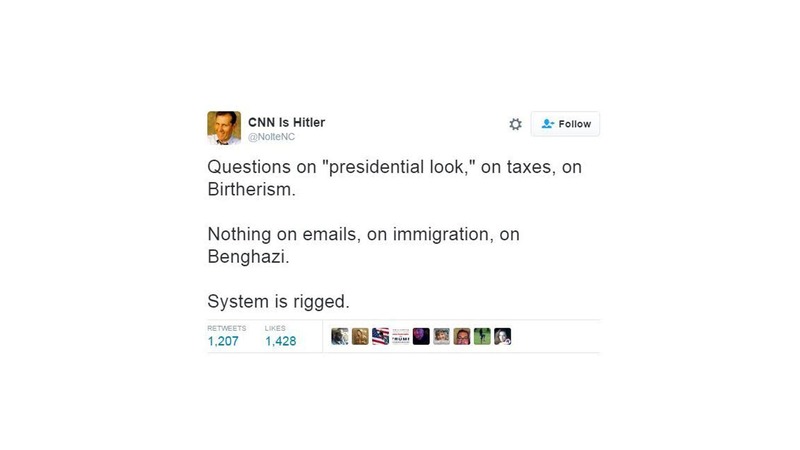 Here the Democrats take one on the chin, with the tweet, "With Hillary it is Obama on steroids". 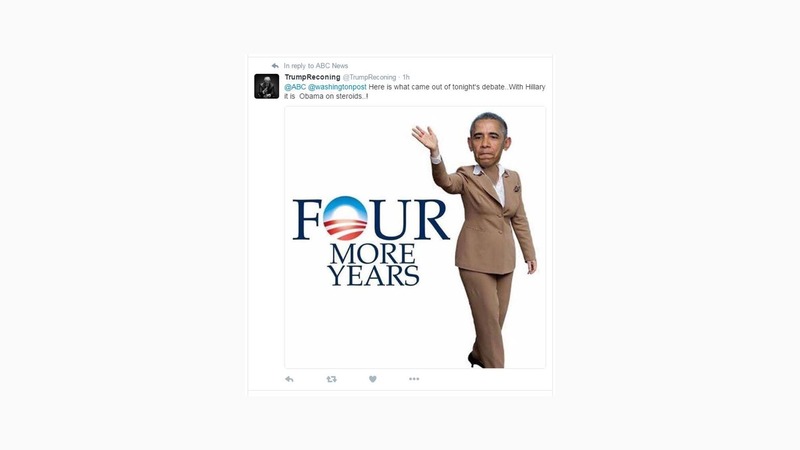 A gentle tease on Trump's trademark technique of talking over time limits, one twitterer memed the candidate with the tag, "When you want to take a second more..."
As the candidates warmed up, so did the viewers, here getting a bit more aggressive with Mrs. Clinton's record. Many viewers viewed moderator Holt as playing softball with the former First Lady, avoiding questioning her on what they still see as major flaws in her CV. 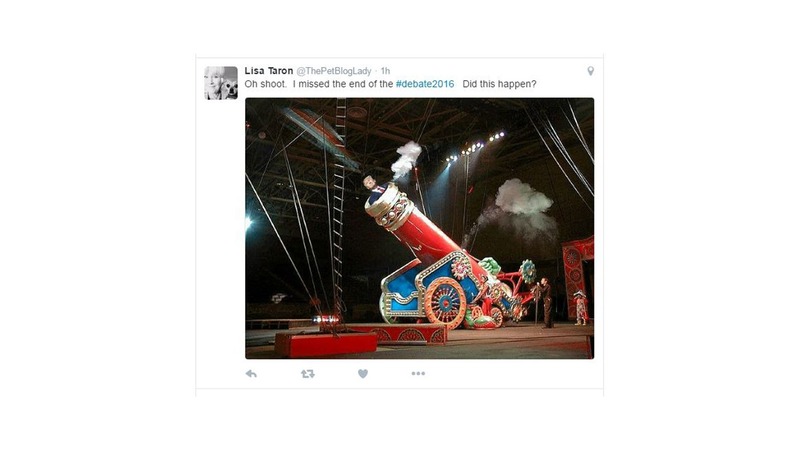 But most messages stuck to jokiness, like blasting Trump out of a circus cannon, wondering, "Oh Shoot. I missed the end of the #debate2016. Did this happen?" 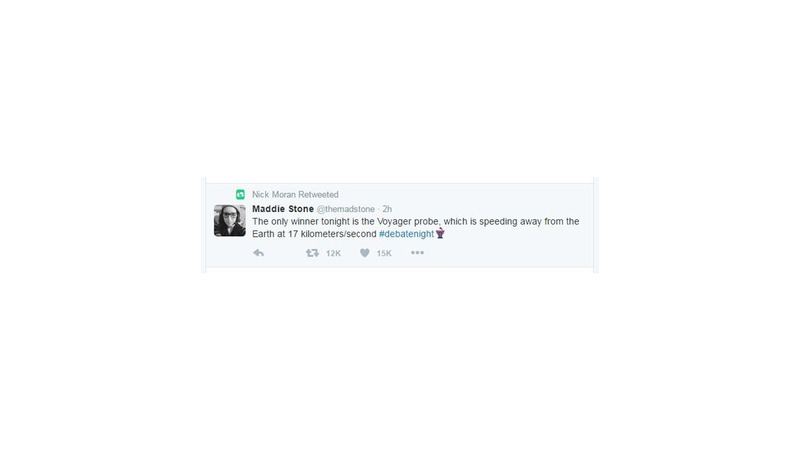 Stars joined the fray, with an occasional celebrity weighing in. The original "shock TV" host (and former Cincinnati mayor) Jerry Springer thinks the Art of The Dealster would make a great guest on his show. Springer specializes in interviewing emotional and erratic "real" Americans. Few can resist a digital soapbox! Former Democratic presidential contender Bernie Sanders put in a word, "Absolutely disgraceful #debate." 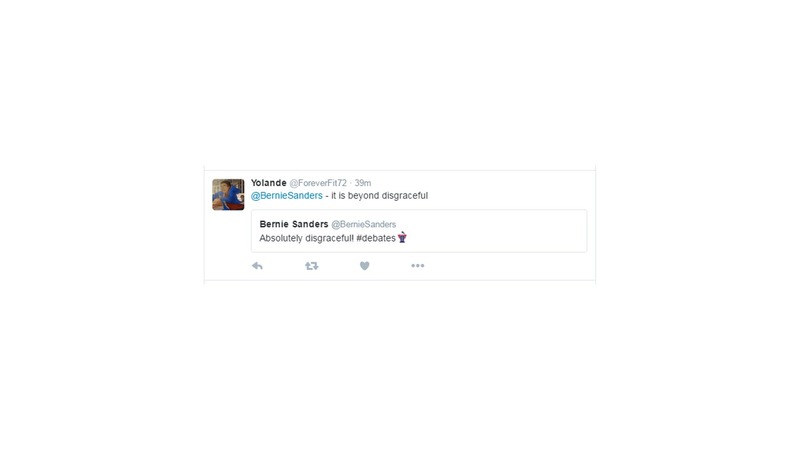 His tweet was retweeted by fan who really "felt the Bern", adding "It is beyond disgraceful!" Howard Dean, a long-ago US presidential candidate - with a medical degree! 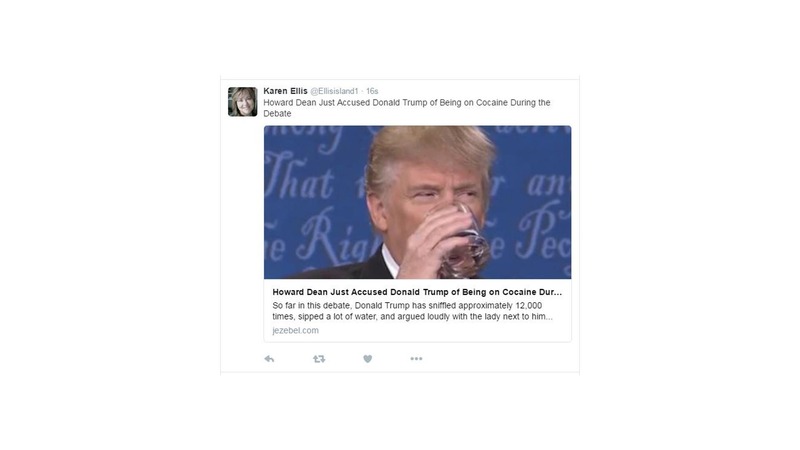 - offered a free diagnosis to Trump, saying the Republican's constant sniffing and unquenchable thirst pointed to a reaction from an alleged pre-debate hit of cocaine! The police jumped in too! 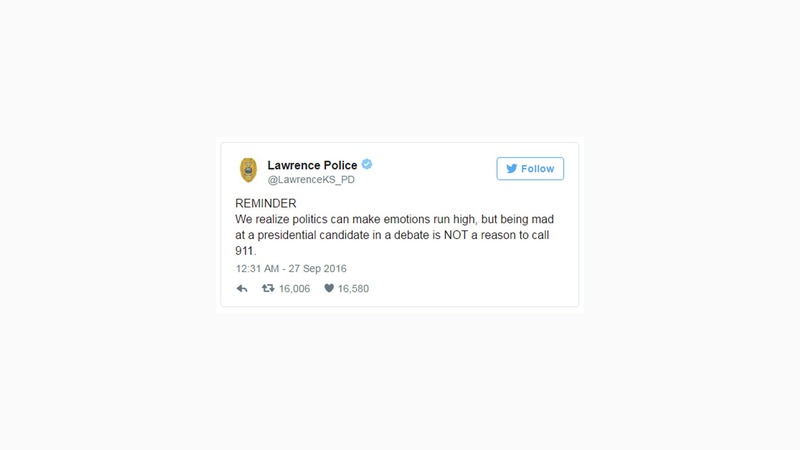 A Kansas police department advised the public that being angry at a candidate did not warrant a call to 911. Not content with commenting on the candidates, some viewers critiqued the entire debate. 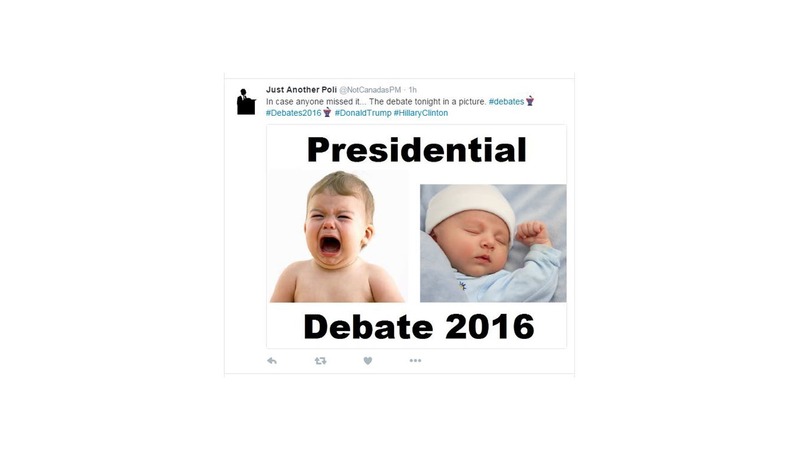 The "big baby" theme was rampant, calling the candidates crybabies, brattish, and infantile. Back to the Borowitz quip about self-anaesthetizing Americans...those debate drinking games are a "thing". Viewers down shots of alcohol every time a candidate says a specific word or makes a certain face. Short on ideas? Or off the booze? 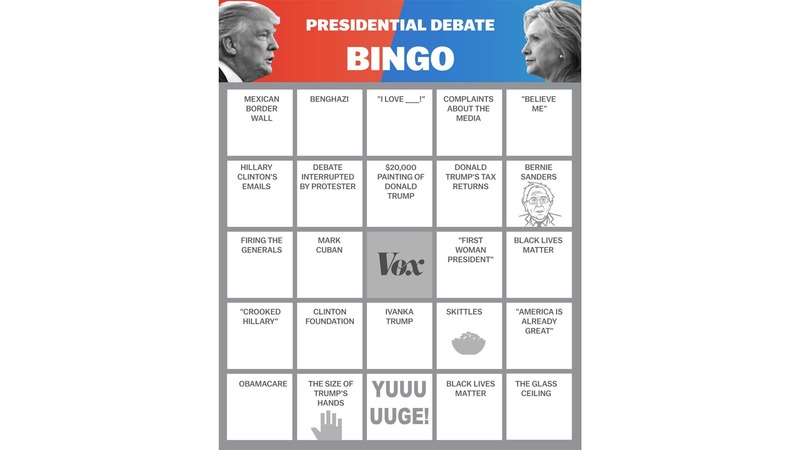 You could even download a debate BINGO card to play...no whisky required. 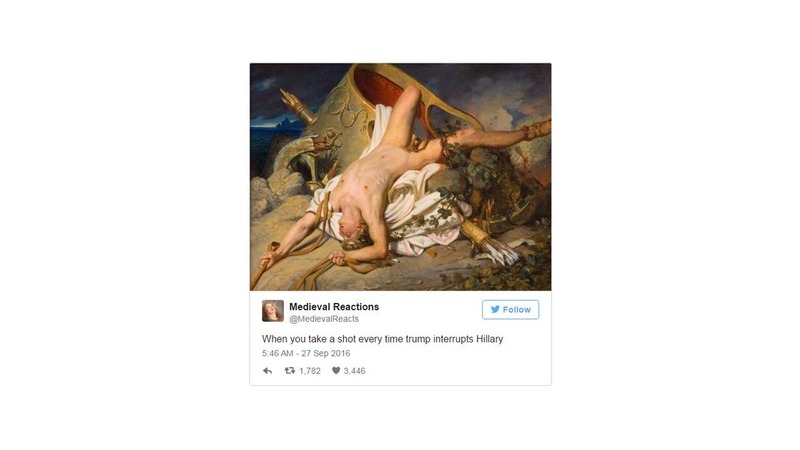 Riffing on the Republican's style of "debatus interruptus", this viewer artfully memed, "When you take a shot [of alcohol] every time Trump interrupts Hillary." 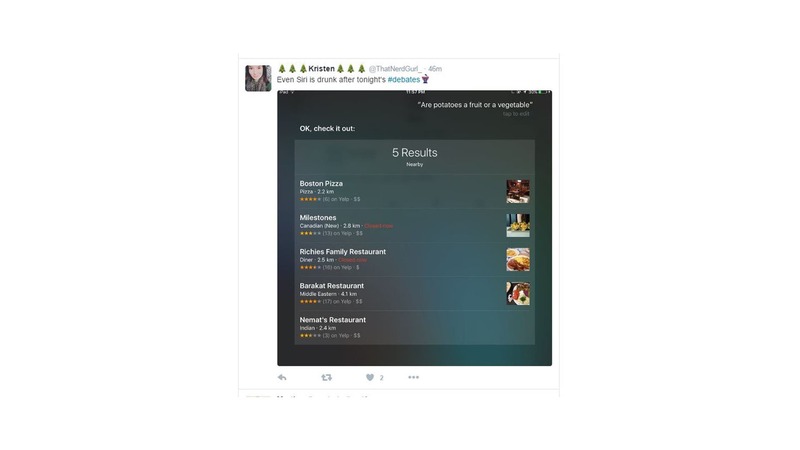 One viewer posted that even her Siri got smashed, tipsily answering her query "Are potatoes a fruit or a vegetable?" with recommendations for a pizza joint and Middle Eastern cafe. Social media allowed instantaneous commentary to the livestream conversation. 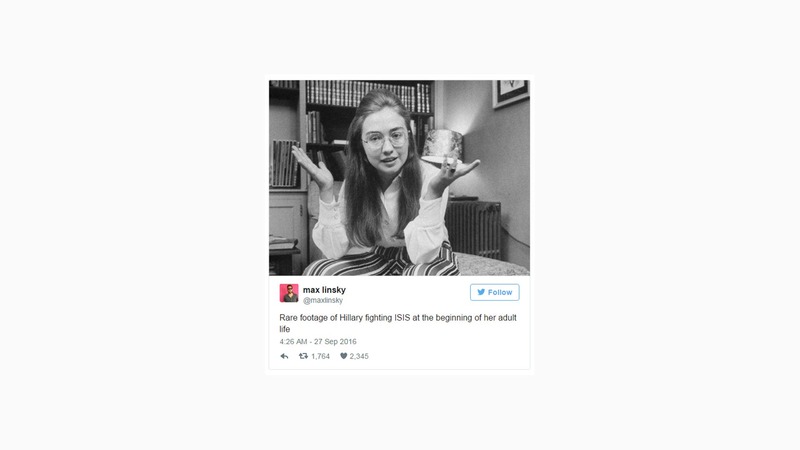 Accused of failing to prevent the spread of terrorism during her 30-year career in politics, this viewer posted "Rare footage of Hilary fighting ISIS at the beginning of her adult life". 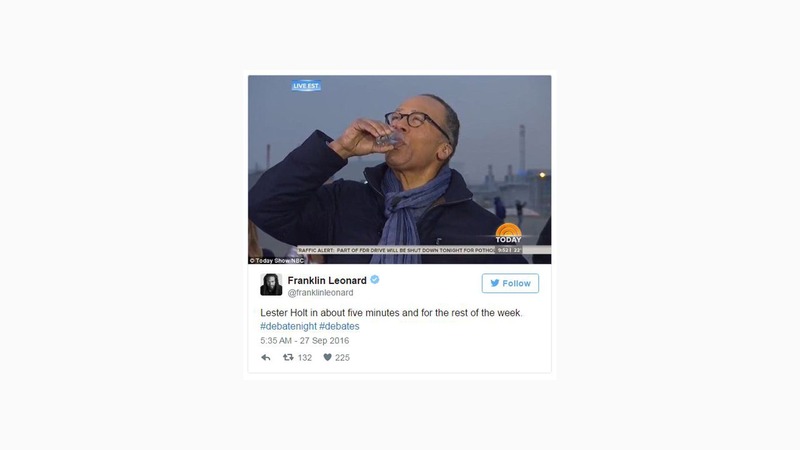 Lester Holt, the even-keeled moderator for the debate garnered some sympathy from one viewer, who imagined the presenter indulging in his own post-debate drinking game. Even a lame-duck president is not immune from the frenzy of "free speech". 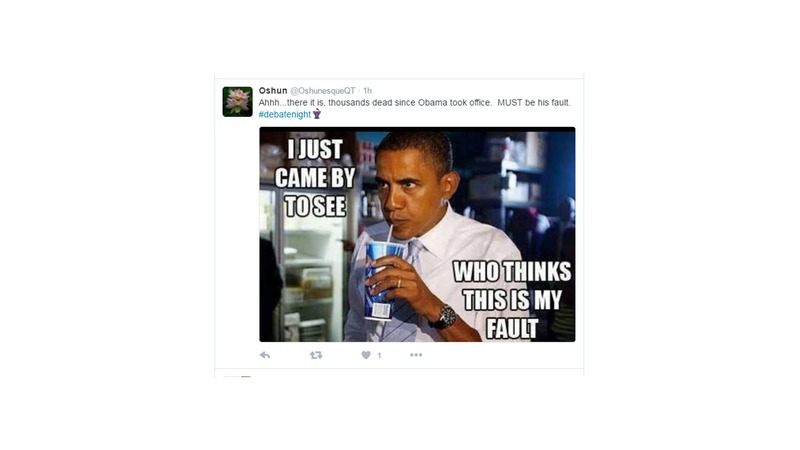 Trump assigned blame to the president for the 3,000 civilian murders that occurred in Chicago since Obama took office. Some comic gems rose above party polemics, and simply bemoaned the entire travesty. "The only winner tonight is the Voyager probe which is speeding away for the Earth at 17 kilometers per second." But perhaps this tweet summed it up best. As legendary proponent of American free speech, broadcast journalist Edward R. Murrow would say, "Good night, and good luck".